2. 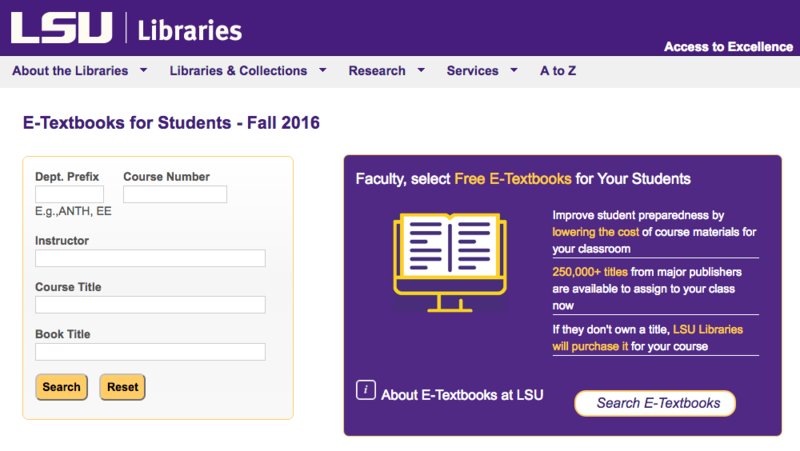 Select Libraries & Collections | E-Textbooks for Students from the top of the screen. 3. This will bring you to the E-Textbooks for Students webpage. Here you can search through e-books available and select a book from the list that is no currently part of the collection for library purchasing. 4. 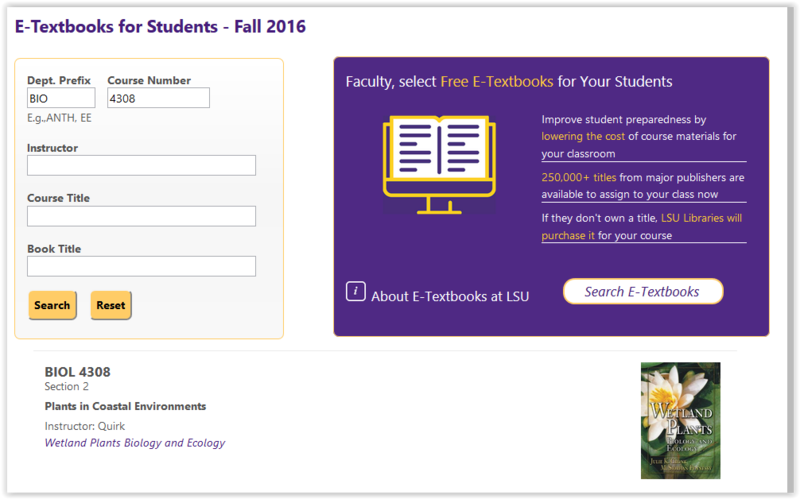 Type in the Dept Prefix, Course Number, Instructor, Course Title, or Book Title into the fieldboxes, and select Search to locate the desired e-textbook. 5. The e-textbook should appear. Select the image of the book to open it.